Tempranillos al Mundo 2016 is the most prestigious international competition in the world that judges the quality of wines made from the Tempranillo grape. 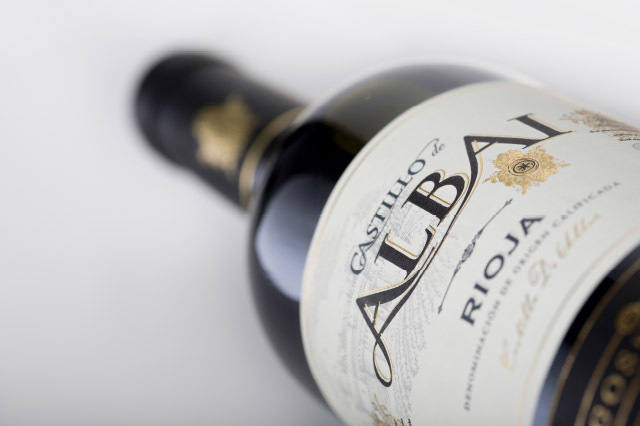 We are very pleased to announce that they have given their highest possible award, the Great Gold Tempranillo, to Castillo de Albai 2015. A significant achievement for this Rioja wine, that touches perfection in its elaboration and stands out, among other acclaimed brands, for being a non aged wine. The jury of Tempranillos al Mundo 2016, comprised by members of the Spanish Federation of Winemakers, has rewarded the quality of Castillo de Albai 2015 by awarding it with the the great Gold, worthy of wines with scores that are close to 100 points. It is an exceptional wine from the most famous wine region of Spain, made in the Pagos del Rey winery in La Rioja. The wine stands out among the other winners for being a young wine made with tempranillo grapes carefully collected from the best vineyards. During the 8th and 10th of November, the jury evaluated the quality of the wines made from the tempranillo grape, as well as the Ull de Lebre, the Cencibel or Tinta del País. In addition to the magnificent recognition of Castillo de Albai, several wines of Pagos del Rey have been rewarded with a gold medal. From Rioja; Arnegui Crianza 2013; from Ribera del Duero we find Altos de Tamaron 2015, Altos de Tamaron Reserva 2012, Condado de Oriza Roble and Condado de Oriza Reserva 2012. From the Denomination of Origin of Toro; Bajoz 2015 and Sentero Roble, also won the gold medal. These results represent a recognition of the work of all those producers such as Pagos del Rey, who continue to work hard to ensure the best representation of the Tempranillo grape.